This is a fun, little project which can be varied in a number of ways. Here, I’ve used a baroque style background paper for an old world feel. However, you can choose a paper with a modern look for a completely different effect. 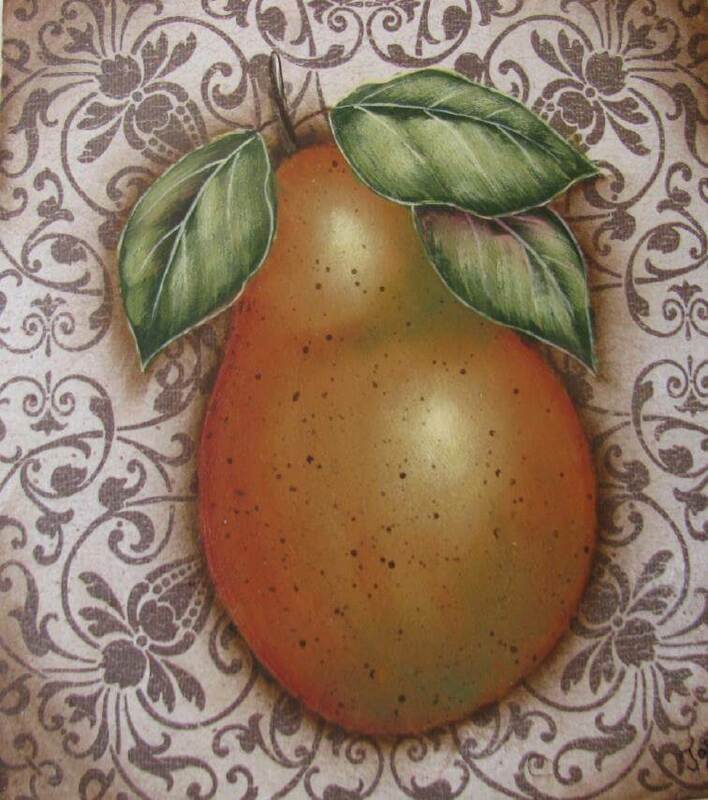 You might also consider enlarging the pear to an 8” x 8” surface or bigger for maximum impact. Have fun painting as is or creating your own unique look. Painted on a 6"x 6" wooden canvas.